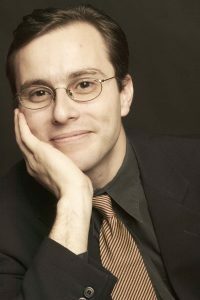 Born in Italy, Alberto Parrini is principal cellist of the Northeastern Pennsylvania Philharmonic and a member of the American Symphony and Orchestra of St. Luke’s. He also performs regularly with the New York Philharmonic, Orpheus Chamber Orchestra, and New Jersey Symphony, and has been guest principal cellist with the American Symphony, Cecilia Chorus, New York Symphonic Ensemble, Performance Santa Fe, Stamford Symphony, and Teatro Grattacielo. As a founding member of the Zukofsky Quartet, he has given performances of the complete string quartets of Milton Babbitt in New York and Chicago. He performed throughout the U.S. with the American Chamber Players from 2004 to 2010, was the cellist of the St. Lawrence String Quartet in 2002 to 2003, and spent one season as assistant principal cellist with the Richmond Symphony. Mr. Parrini has toured North America, Europe, and Asia with Mikhail Baryshnikov and the White Oak Dance Project, and performed with Arco Ensemble, Concertante, Continuum, ECCO, Lenape Chamber Ensemble, Mark Morris Dance Group, Mirror Visions, Proteus Ensemble, Richardson Chamber Players, Metamorphosen Chamber Orchestra, Minnesota Orchestra, and Sinfonietta of Riverdale. His festival appearances include Evian, Tanglewood, Taos, Verbier, Ottawa, Montreal, San Miguel de Allende, Spoleto U.S.A., Music@Menlo, Windham, The Weekend of Chamber Music, and the Piatigorsky seminar. His principal studies were at the Curtis Institute and the Juilliard School, with Timothy Eddy, Joel Krosnick, David Soyer, Colin Carr, and Enrico Egano. Mr. Parrini teaches cello at Princeton University and, in the summer, at Kinhaven Music School. He is also co-director of the Adult Chamber Music Workshop at Kinhaven.